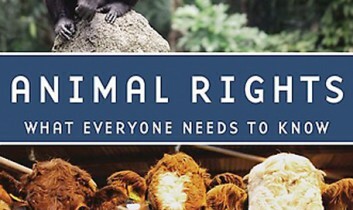 #ThrowbackThursdays returns, and this time we’re re-introducing you to a fantastically important book – Animal Rights: What Everyone Needs to Know – with a review by Nick Lacetti. For those of us who think about animal rights on a daily…hourly…minutely…basis, it’s a good idea to return to the basics every once in a while, which is exactly what we’re hoping to do with this week’s #TBT. This review originally appeared on Our Hen House on May 27, 2011. 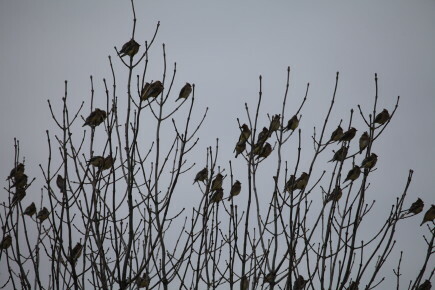 If you’d like to see a certain OHH article resurrected, email us at info [at] ourhenhouse [dot] org. Paul Waldau, the author of Animal Rights: What Everyone Needs to Know, is a scholar I have admired from afar for a while now. (That might sound a little creepy, but I swear, it’s academic.) As his website explains, Waldau “is a scholar working at the intersection of animal studies, ethics, religion, law and cultural studies” — an intersection that is also near and dear to my heart. Waldau has a PhD in philosophy from Oxford, a Juris Doctor degree from UCLA, and an MA in religious studies from Stanford, which not only means he’s painfully impressive as a scholar, but also means he’s uniquely poised to write about humanity’s relationship with other animals in a way that touches upon all the major areas of human culture and society. 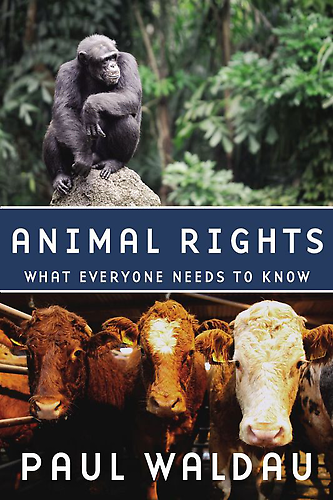 Animal Rights is a part of Oxford’s “What Everyone Needs to Know” series, and purports to be a concise one-volume introduction to the philosophy and practice of animal rights. As a short book — only around 200 pages — the book is not really able to go into depth on many topics, but instead provides a great introduction to the subject for those who are just starting their explorations into the world of animal rights. For the seasoned activist or academic, the book might feel less weighty, but certain sections serve as useful resources from which anyone can benefit. “The Animals Themselves,” the first chapter of the book, is also its longest. 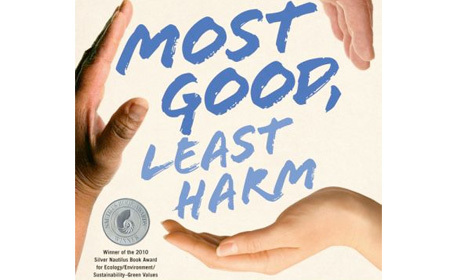 For the beginning activist, it’s a useful summary of the way animals are treated in our society and an account of what science tells us about animals, their consciousness and their behavior. 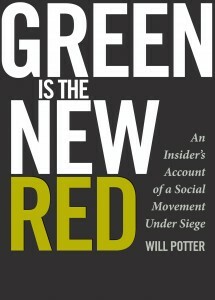 For the seasoned activist, it might be a section to skim rather than read thoroughly. Though the sections on science and philosophy are interesting — for example, Waldau’s account of the origins and uses of scientific categorizations for animals — the sections on the way animals are treated are perhaps redundant for some activists. Unlike many other accounts, however, Waldau’s scholarship is evident even here — rather than simply list a series of statistics, he draws on numerous sources to give an extremely well-rounded overview of the way animals are treated, and includes more international perspectives than many similar accounts. It is the middle sections of the book that are truly useful to everyone, from the starting activist to the activist who has been in the struggle for animal liberation for decades. Unlike many authors, Waldau gives equal time to philosophy, politics, the arts, the law, and science — no area of human culture is alien to his examination of animal rights. Waldau’s great success here is in historicizing the animal rights movement — in revealing it to be a deep-rooted human concern that is not new or radical, but embedded in the history of human culture. Anyone can learn from Waldau’s impressively wide view of animal rights. Personally, though I already knew a good deal about philosophy, the law, and politics as they relate to animal issues, Waldau’s account of animals in the education system was totally new to me, and the sections on science were useful for brushing up my knowledge. I didn’t know much about the history and controversies surrounding the “dissection choice” in high school science courses, for example, and I doubt many people are aware of the Journal of Comparative Psychology’s 1993 study on the “Personalities of Octopuses,” the “first-ever documentation of personality in invertebrates” (171). The final sections of the book are perfect for those who are involved in or interested in becoming involved in animal rights activism on the ground. “Major Figures and Organizations in the Animal Rights Movement” is a convenient resource for anyone who needs short (and extremely neutral) profiles of the major figures and groups in the movement. “The Future of Animals Rights” brings to the fore certain arguments that are mostly implicit in the rest of the book, providing a vision of a world in which humans might “find healthy ways for individuals in local places, and our species as a whole, to coexist with the citizens of the more-than-human world within which we and our children will always live” (199). Waldau’s personal approach to animal rights seems deeply democratic, in the sense that he views all beings as a part of a worldwide community with responsibilities toward each other as neighbors, rather than as othered beings we are free to treat as we like. Animal rights, therefore, seems less of a radical departure and more of an extension of an ethical system we already have in place. Reading the animal rights timeline in the back of Waldau’s book, I was struck by how a longer view of history allowed one to see just how tenuous the line between human and animal was, and still is. Indeed, the separation between non-human animals and humans has never been clear, and we pretend that it is at our peril. In his Timaeus, Plato described both non-human animals and women as “failed men.” This idea would go mostly unchallenged for many centuries. In 1792, when Mary Wollstonecraft published her classic proto-feminist text, A Vindication of the Rights of Women, Thomas Taylor responded with his biting parody of Wollstonecraft, A Vindication of the Rights of Beasts. Taylor’s book parodied the idea that women have “intrinsic and real dignity and worth” by extending that concept to other animals — perhaps one of the earliest examples of the “slippery slope” argument so favored today by those who link marriage equality for LGBT people to the danger of humans marrying iguanas. If there really is a slippery slope from rights for one marginalized and oppressed group to another, then by all means, let us slip down it as quickly as possible — the only thing we’re slipping towards is justice.